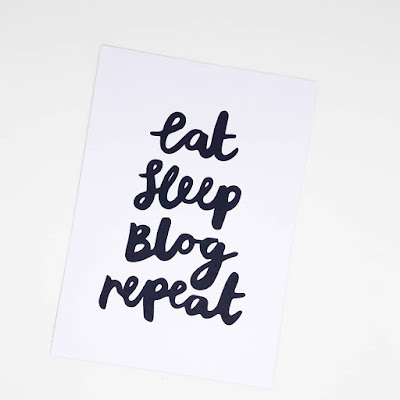 When it comes to my goals for this year I included goals for blogging and one of them goals was to be more organised. 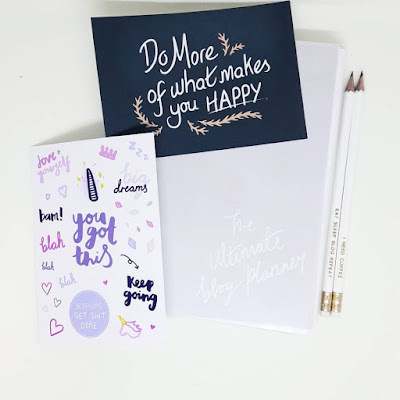 I came across the blogger essentials box with Dot creates and knew it would perfect because I love pretty stationery and it has the ideal contents for me to be more organised. After sharing images on social media of the box I found that quite of a few you are keen to see what is inside and my thoughts. The planner is a great size (A5) and ideal for keeping me organised with my blog content. The planner has the ideal sections that I need such as loads of post planning pages, upcoming events, sponsored content space, AND notes pages. I like that it is spiral bound and has a clear plastic cover. There are monthly hand drawn quotes which I adore and will be keeping once I've used the planner all up. Its a 12 month planner which I also prefer, as its not dated you can also start using the planner at any point during the year. You can also keep an eye on monthly stats and much more. 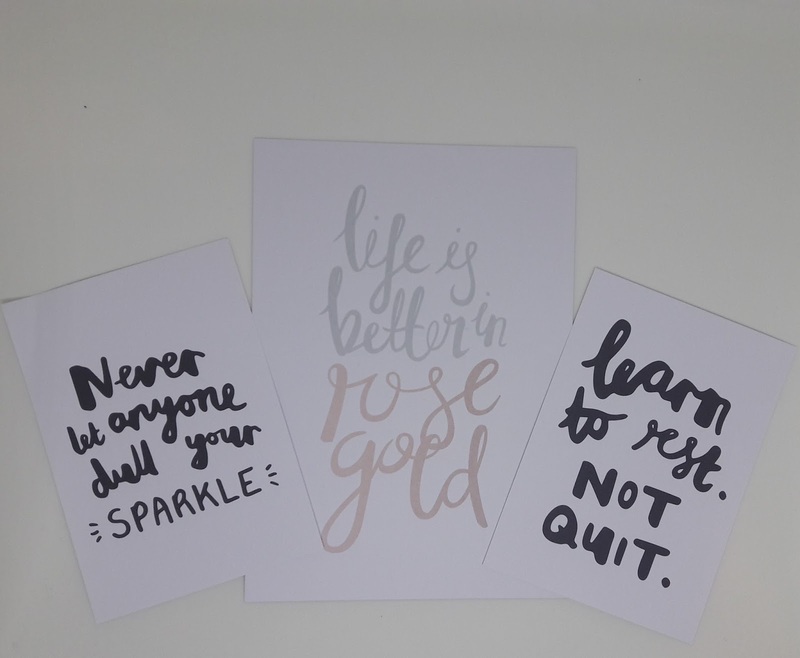 The stickers are cute hand drawn with motivational quotes and illustrations which look great on/in your planner, notebooks, laptop etc. I love that you can purchase a wide range of prints from them and so I also ordered an extra print "Never let anyone dull your sparkle" All prints are on premium thick paper and the quotes and any images are hand drawn. They are ideal to use in flat lays as props, on your desk as motivational reminds or any other way you can think of. These 4x white pencils with gold foil text are super sweet addition to your stationery collection. They are pretty, have great motivational quotes and if like me you can also use them in flat lay images. Like the planner, the notepad has a content to-do section ideal for ideas on the go or if you run out of space in your planner. It's also A5 like the planner and has 50 tear away pages. Overall the blogger essentials box has everything that a blogger needs to be organised and motivated on a daily basis. I feel that it is worth the money I paid for it and I fully recommend the set if you are in need of an organisation boost. I am a stationary addict! I love a good notepad, diary, planner, reminder list and these look fantastic! I think the price of the blogger essential box is pretty good for what you get! I recently bought a planner that cost me £22 (which to be fair is amazing) however I could get all this for just £29!! Bargain!!!! I love the contents in this box. So handy. Will check the brand out. Every year I buy a Planner and never use it! This one looks lovely though, especially all the extra bits that come with it. What a lovely set. I always find new stationery gives me a boost and I love the look of this. I do love my stationary although always start using it well and then it goes downhill!! I really like the planner, which is such a useful tool in our blogging lives. I can never get organised properly if I don't write everything down on paper. Personally I am obsessed with the stickers I think they would definitely give me motivation. Especially the cute unicorn horn! 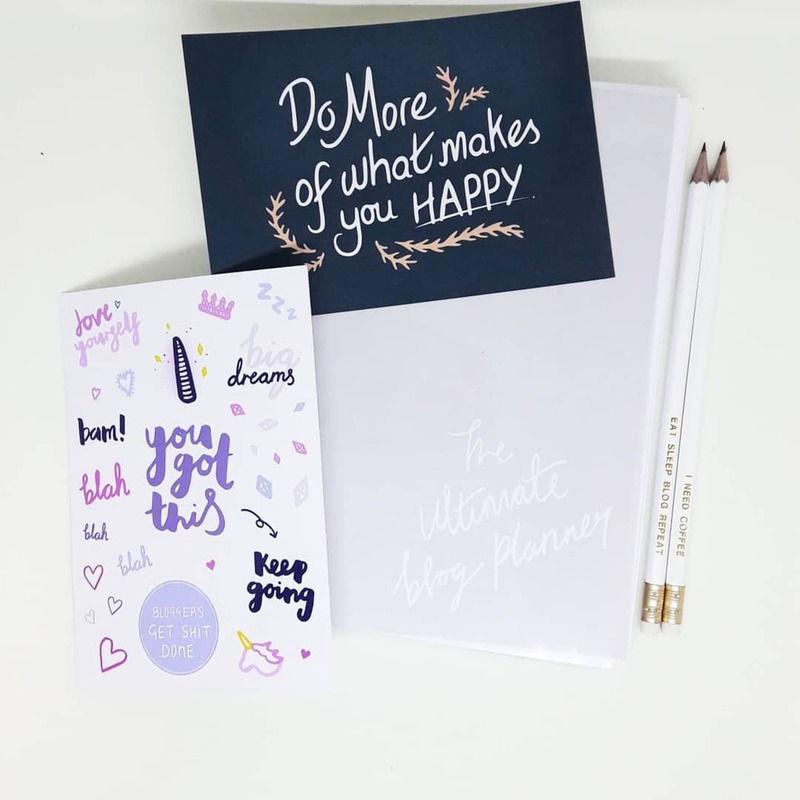 I would love to get my mitts on one of those blog planners - I'm really finding that blog specific stationery helps me be so much more organised. This sounds like an amazing set, and such a bargain to as it's on sale! Gorgeous prints! And stickers, a planner and a notepad too! What more could you want? Everythings so pretty! I really need an organisation boost badly! I'll take a look at this box, thank you! I have OCD so love things to be in order and so on, but this ..? This is heaven, I need ,e a box like this seriously. We love stationery items, so this box is just perfect for us with little things that is so perfect and look lovely. What a brilliant idea for a box - I think I need one myself! Oh a planner is definitely essential. 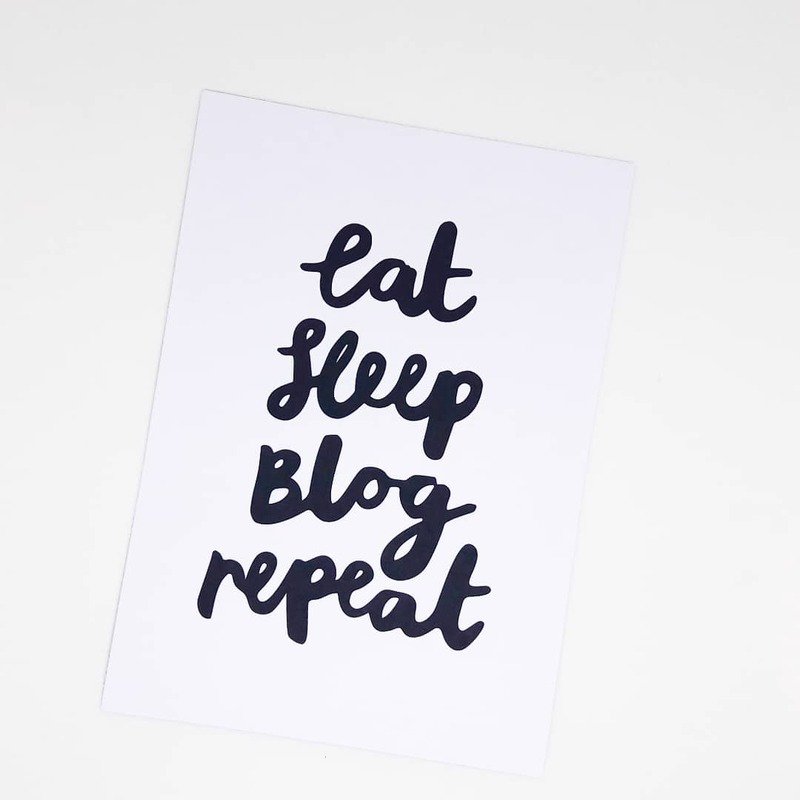 My goal was to be more organised with blogging this year and I am always using my planner. This is a really nice box. A great and fun way to stay motivated! I'll have to check out this brand! these look really lovely and I am sure they would motivate and help me with my blogging efforts. This looks great - the perfect gift for someone who blogs or a little treat for themselves! I think it would be really useful. This is pretty much the perfect box for me! I love stationary - if I walk past a stationary shop I don't recognise I can not help but go in. I have to admit, I've never used a blog planner before. I know I should as it would make things easier... time to start using it. Oh wow this looks an amazing box of goodies! 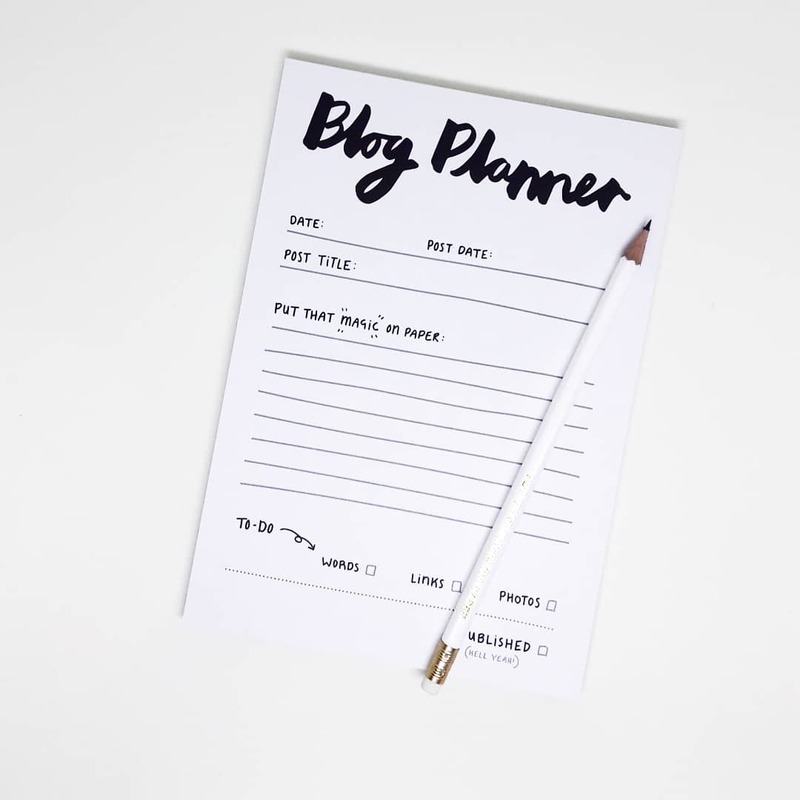 I really love the planner, it would be perfect for keeping my blog life organised. Great deal. These are lovely to behold. I always stop by writing essential stores every once in a while and really have a hard time picking things I want because I love them all. But this package in one saves me that time. I love it! This type of box is a dream, especially for planning, blogger or not. Love the idea and concept. Need to look into getting this. This is such an awesome box. I do really love this planner and some cute sticker. Such a great way to be organized.